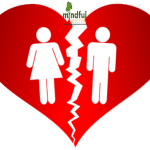 Marriage counseling in Delhi & Gurgaon is available seven days/week 9 am to 7 pm. Marriage counseling helps you focus on joy, peace & harmony within ourselves & marriage if you keep on struggling like a victim while situations don’t change. For a change to happen, you will have to use new ways of thinking behavior. Marriage Counselor guides you to stabilize & understand your emotions conflicts & alterations needs to be brought which will work for your marriage & relationships. You have a choice to be where you are in relationships or want to enhance them. Unlearn what you know before you can learn anything new! If you know how to drive a car, you can almost drive any car but if you don’t know how to drive any vehicle, if you change your vehicle from Maruti to Hyundai or Mercedes won’t help. Similarly changing relationships with someone won’t help because you must have an awareness of basic relationship maintenance. Common problems in relationships are What are you expecting from others & if others are meeting your expectation. 1) Everyone has some issues & if you keep on bouncing from relationship to relationship will not solve till you know where you can compromise. To transform the existing marriage & relationships requires Effective Communication in marriage. 2) When you keep on sacrificing your own needs while partner doesn’t realize, an active connection requires Mutual Sacrifice. You can’t demand sacrifice from the partner, but mutual sacrifice for the partner can be a good foundation for Happy marriage. 3) Respect for the family. 4) Affection on a regular basis. 5) Don’t obsess about partner behavior. 6) Define common goals for life. 7) Learn to resolve conflicts. 8) Do feel content with what you have. 9) Don’t compare your marriage & relationship with others. 10) Give time to marriage along with some personal time. 11) Discuss as a couple that if this marriage needs to last for the lifetime then what you can do & expect as a partner. What makes the (inner) work ( counseling) ‘hard’ is when we forget to approach self-awareness with #Joy. Your thoughts about circumstances have a vibration that may be able to break that block for you to have happy relationships. Marriage Counselor helps you to learn the pattern of your marriage and guides you to learn how to change the patterns you have identified. After a person has been in individual marriage counseling for a couple of sessions, a noticeable improvement will be seen. If both people as a couple are in for counseling, the improvement will be greater still. The marriage counseling session is experiential rather than intellectual exercises; however, some cognitive teaching is also included. him as well as to couple. It becomes more and more difficult to go back to playing the old games. Marriage counseling is especially helpful in couples, where the problems are often located in the past or the future or projection. Marriage counseling heals the relationship and ends the victim games. — Has difficulty been emotionally close to others? — Have strong values like obsession & need to be right – all the time? — If others perceive you as self-centered and egotistical? — Want to do everything on their own, Never asks for help? — Constant Up down of emotions regularly & feeling the lost purpose for life? — Expects perfection in self and others? — Seldom appears vulnerable or weak? — Flood of Razing with thoughts, Has difficulty relaxing? — Feeling of self-guilt or self-blame for current circumstances? — Feeling suffocated in the relationship? — Function well in the world of business but often struggle in intimate relationships. — Tend to appear stable, secure, and thriving on the outside, while on the inside they feel weak, fearful, insecure, and needy. — want to recover from the unidentified, unhealed traumas of past. — Feel trapped in abusive & controlled relationships. — Feel alone & lonely in marriage or relationship? — Are you fed up with being taken for granted? — had difficulty with starting or maintaining relationships or issues with feeling jealousy, trust, and possessiveness. — want to discover how you can control stress, instead of letting it control you.